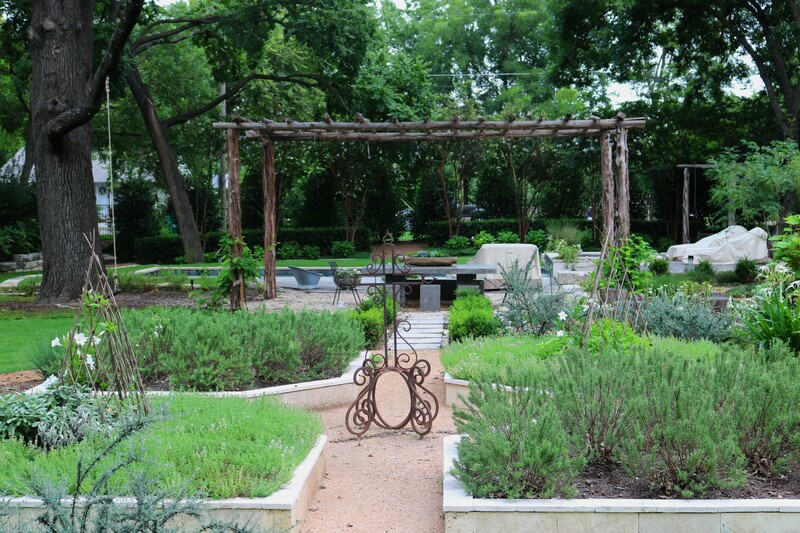 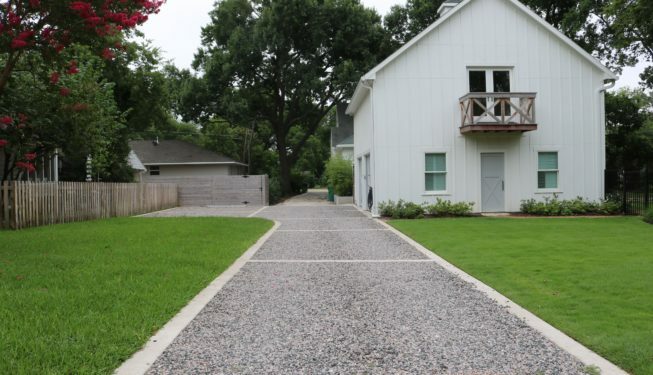 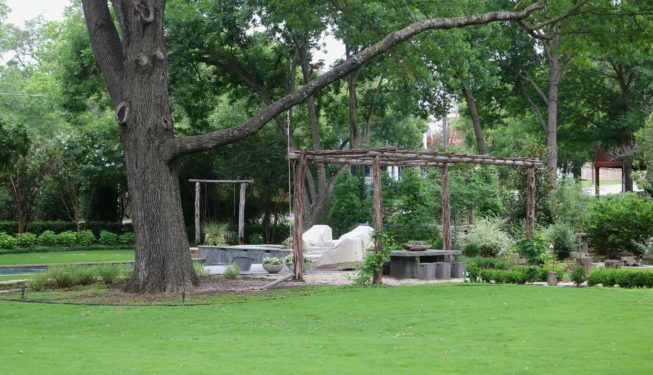 McKinney Historic District Home – Great Gardens, Inc. 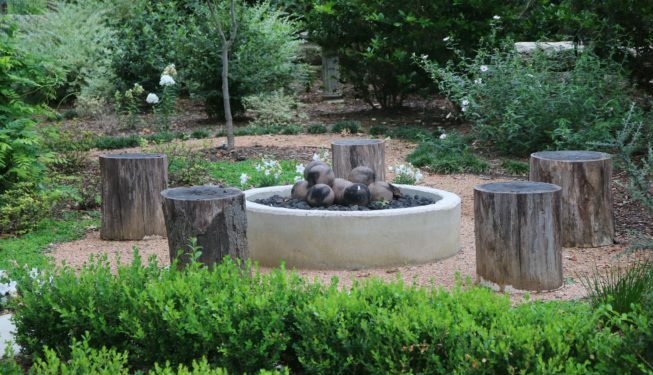 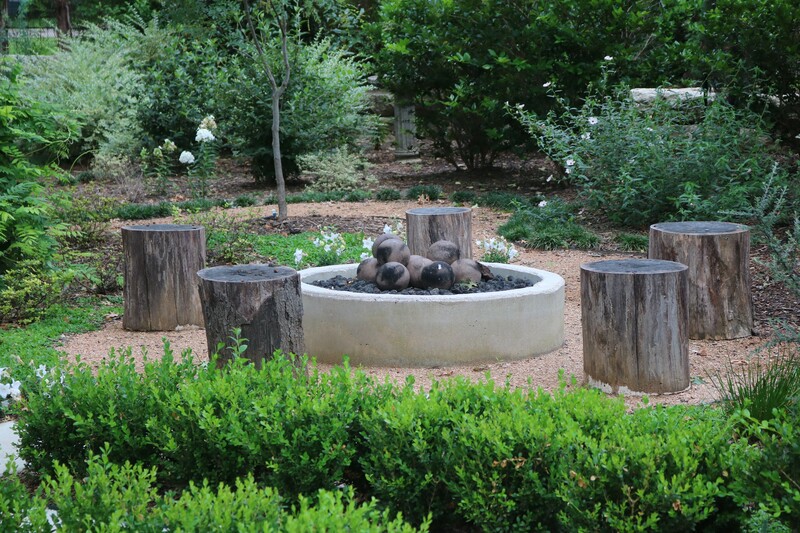 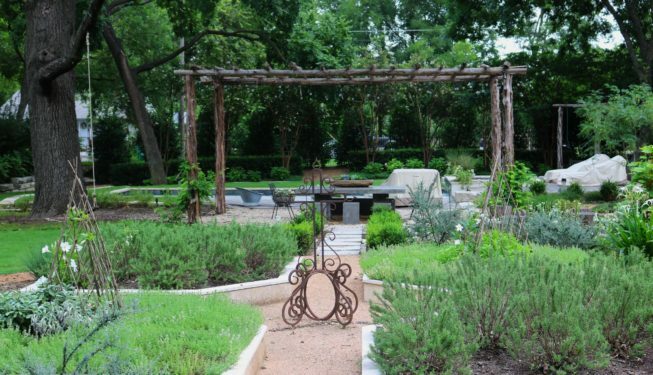 The inspiration for this garden remodel came from the Hotel San Jose in Austin, Texas…a combination of contemporary and rustic elements to create a garden for entertaining as well as relaxing. 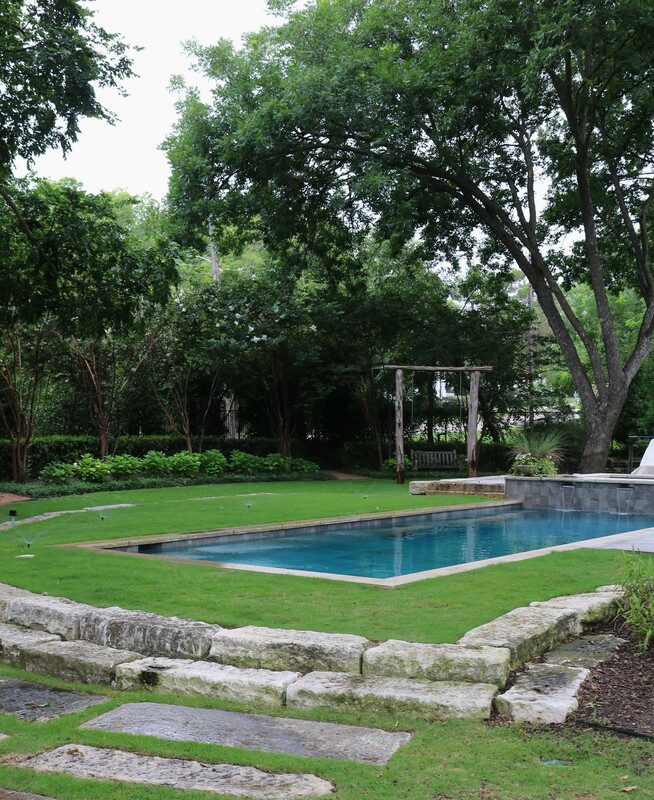 The challenges are from the unique conditions of this property as it had little privacy. 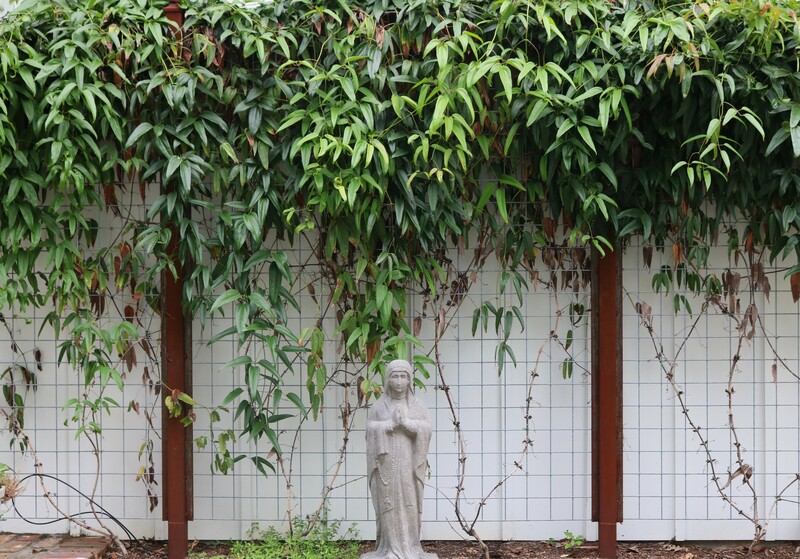 It was important to achieve the privacy without boxing the property in. 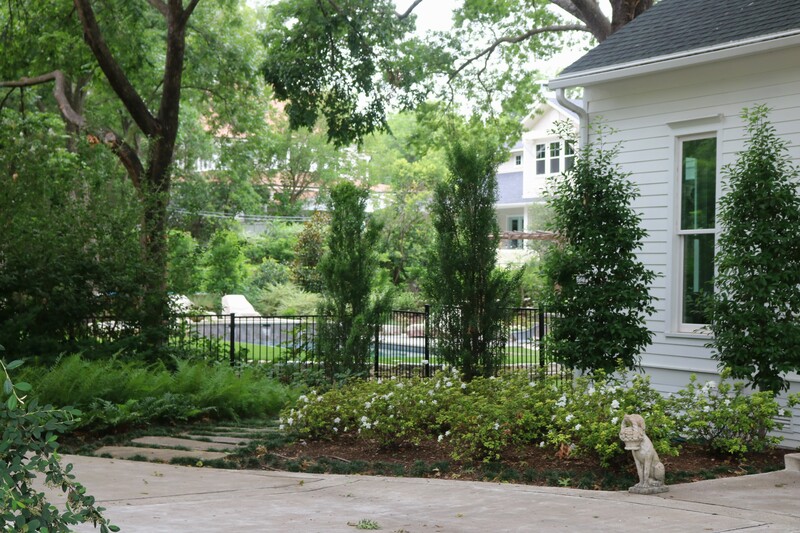 We used the heavy Nelli R. Stevens Hollies on one end and a blend of Japanese Viburnum and Nelli R. Stevens Hollies on the other end. 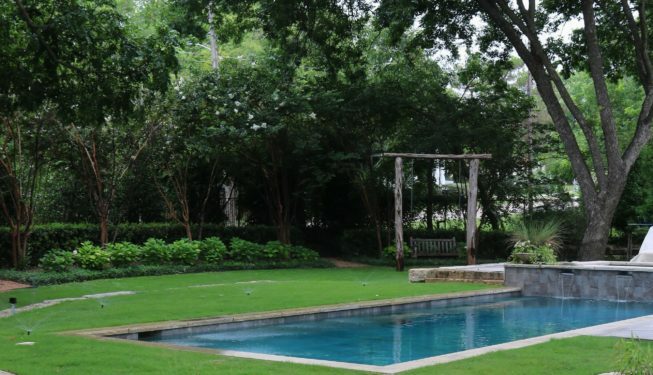 The west side is screened with DD Blanchard Magnolias and a live oak tree with a holly layer to add more coverage since the neighboring house sits so much higher than this property. 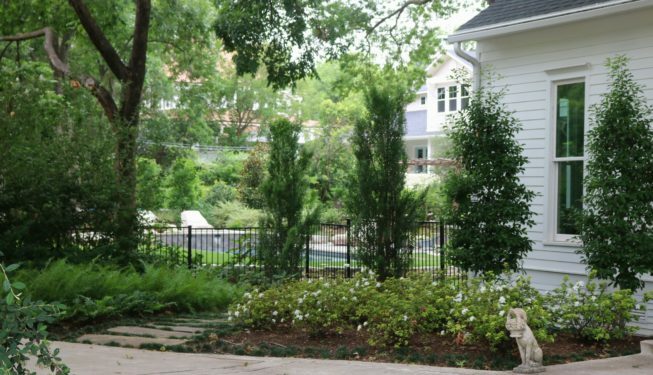 The large grassy space is great for children and dogs, and helps with the drainage issues. 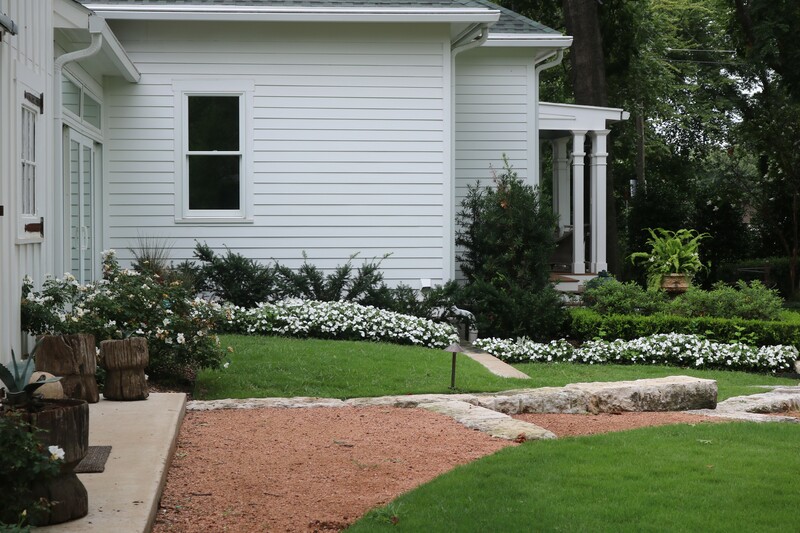 Probably one of the unique elements of this landscape is the large limestone blocks that we arranged to create different layers and to blend the house level to the garden level. 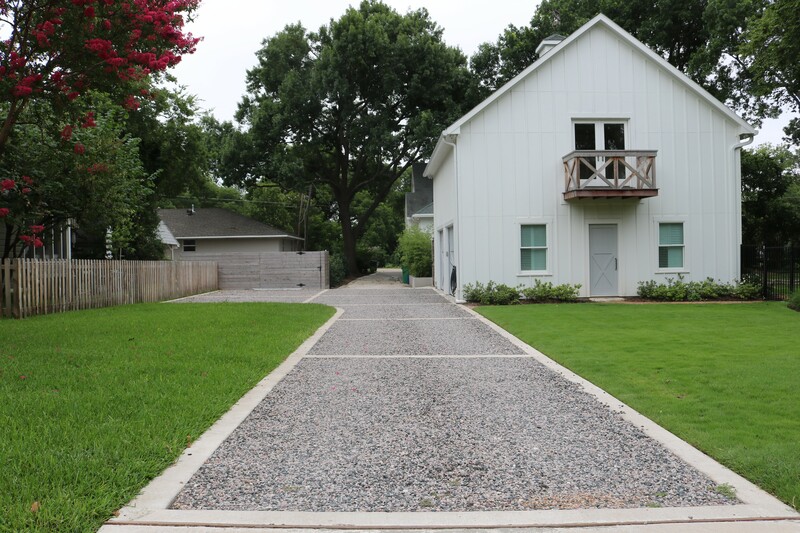 A decomposed granite path winds its way thru the garden connecting all the spaces. 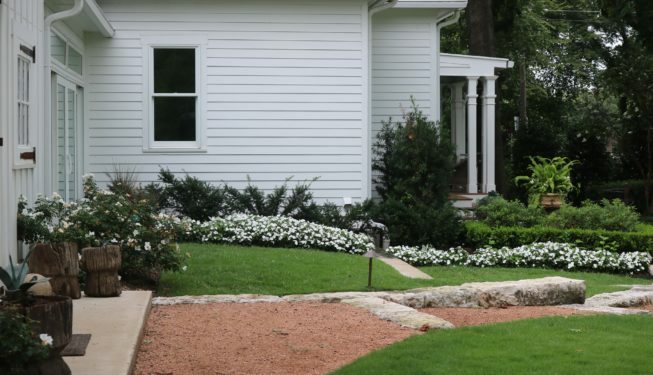 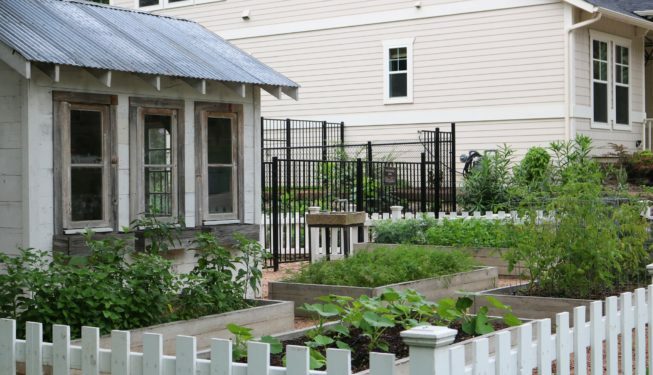 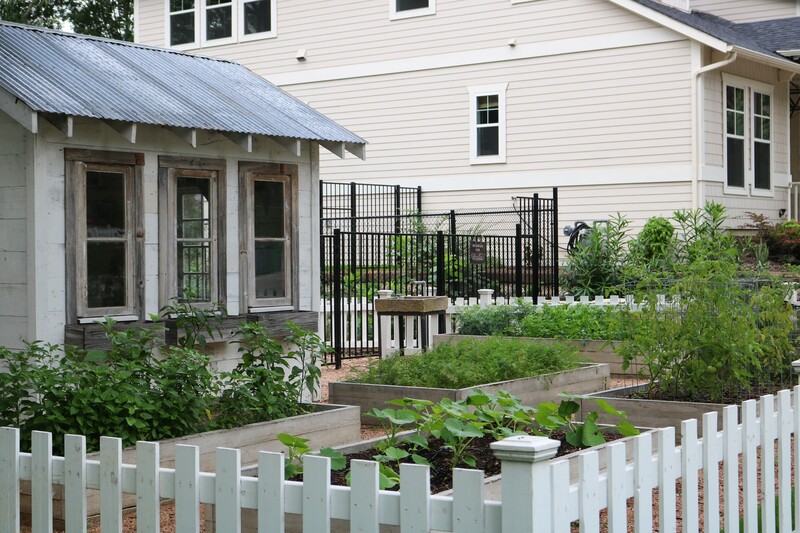 This garden is different than many in the historic area as it is a blend of the old and new, with elements of an old farm house combined with a simple garden palette that is given life through texture from both the plants and the stone combined. 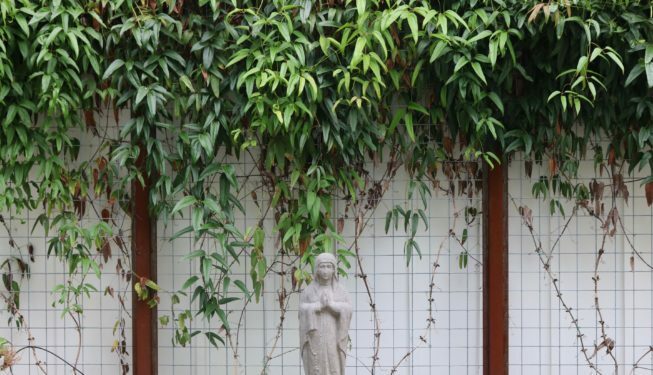 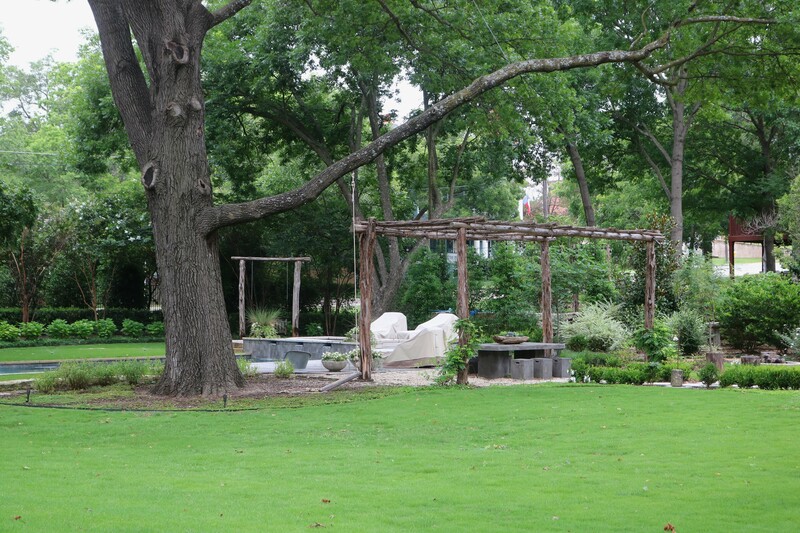 The garden is a peaceful and graceful respite right inside the heart of the city.